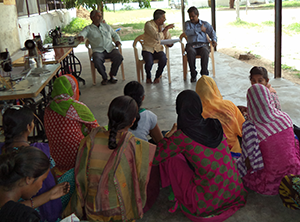 A separate, specific and focused skill building programme ‘Micro Enterprise Development Programme (MEDP)’ has been formulated which involves organizing short duration, location specific programmes on skill upgradation / development for sustainable livelihoods / venturing micro-enterprises by matured SHG members. 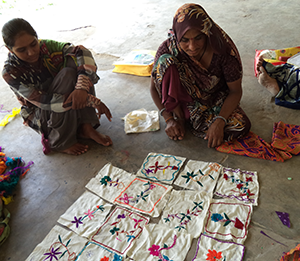 It is a supplemental effort to upgrade/ develop skill and preliminary business acumen of SHG members in order to enable them to cope up with the issues in relation to run a successful enterprise for income generation/ livelihood. BSST provided MEDP training with the support of NABARD this year. 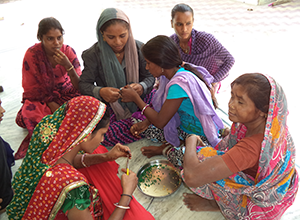 Workshop for Artificial Jewellery making was held for SHG members of Vadali at Patan District and Chanasma, and Adiya in Harij District for 10 days in which 30 trainees were provided training. 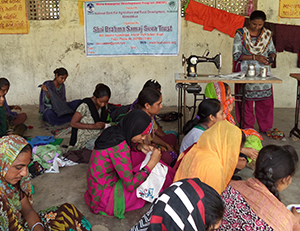 Stiching & Sewing workshop were held for SHG members of Samarpur, Bhanavas and Nanakothasana at Satlasana District for 10 days in which 30 trainees were provided training. Guidance was also provided to trainees after the completion of program. A detailed half yearly report was provided twice during the year of training so as to access and monitor the progress of trainees.